Department of Chemical Engineering, Ryerson University, Toronto, Canada. 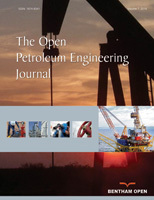 In this work, the dispersion of butane in heavy oil and bitumen is experimentally determined during the Vapex process with varying drainage heights. The experiments were performed at room temperature (22oC) using butane as solvent at the dew point pressure. We used cylindrical models with different heights varying from 15 to 45 cm, packed with uniform mixture of heavy oil and glass beads. From the experiments, production rate dependency towards the drainage height is evaluated along with determination of butane gas solubility, live oil density, and viscosity. Conjugate gradient method is used to optimally determine concentration dependent dispersion coefficient as well as the solvent concentration at the solvent–oil interface by matching up experimental live oil production rates with ones predicted by model. A computational algorithm is developed to simultaneously solve process models of different heights, and optimally determine the corresponding dispersion coefficients.